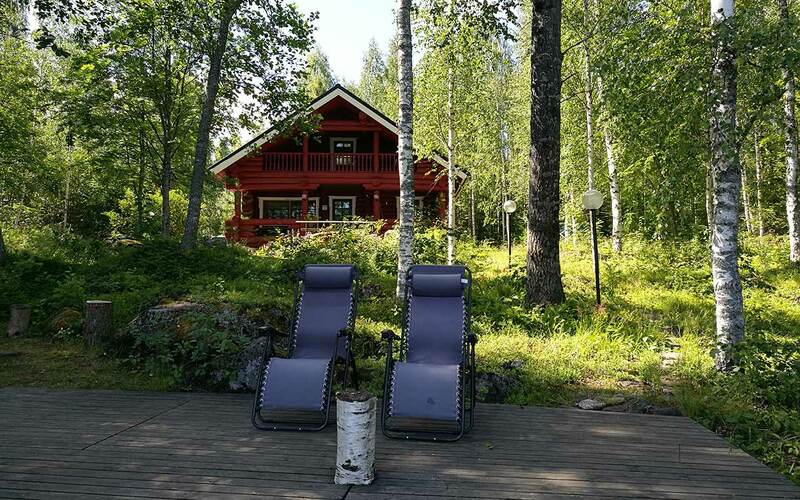 If you enjoy nature, desire peace and restful surroundings, like fishing or picking berries and want high-quality accommodation, Hiidenkivi is for you. 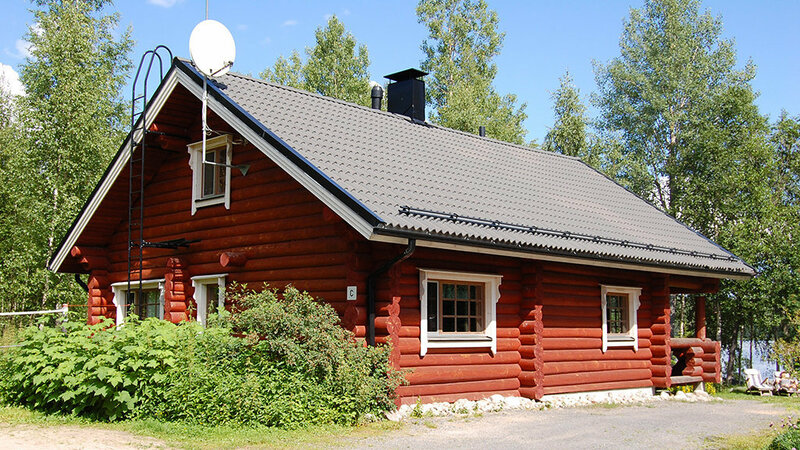 Completed in 2002, this typical Finnish log home is situated on the east shore of Lake Härkäjärvi in the middle of the beautiful nature of Finnish Lakeland. 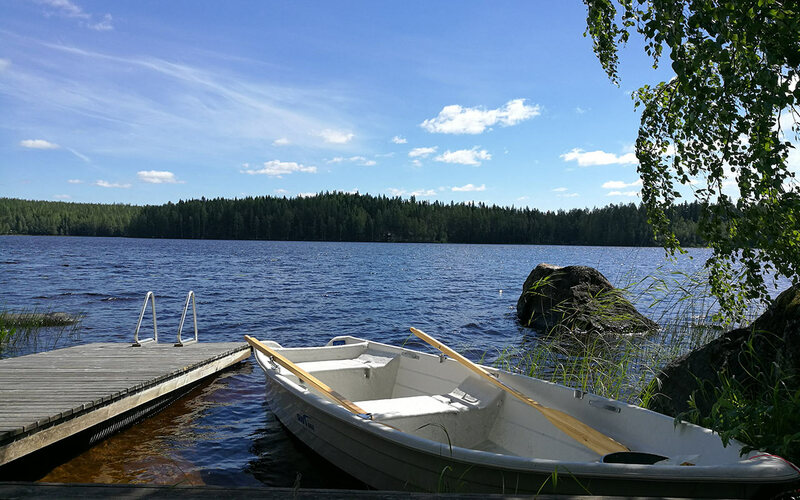 Fishing enthusiasts can enjoy the bounties of the clean waters of Lake Härkäjärvi, which are rich in fish: in addition to pike, perch, bream, zander and roach, the lake also boasts powan and vendace. 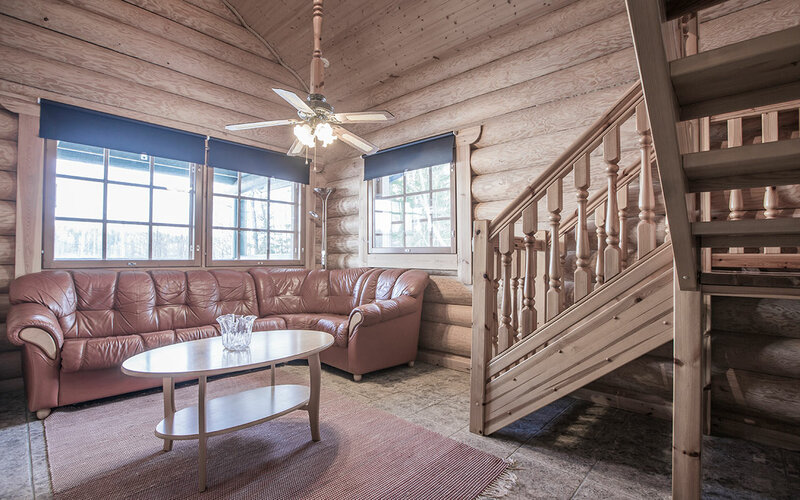 The log home has two (2) rowing boats, fish trap and some other fishing equipment available for your use. 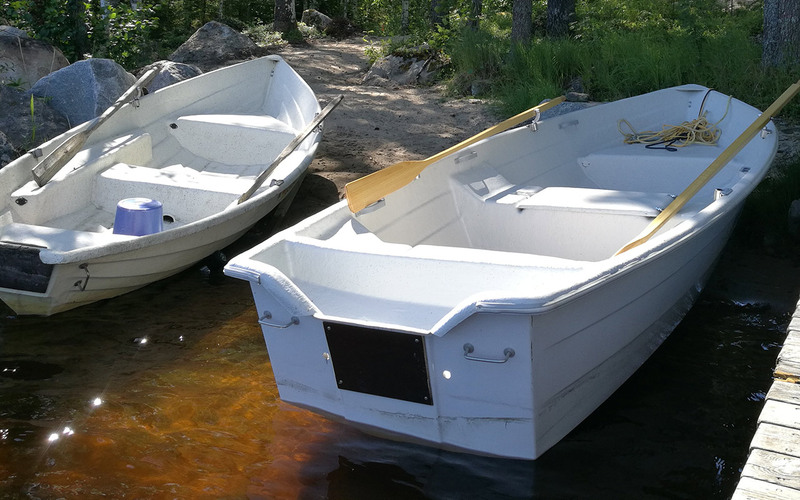 To one or both rowing boats you can rent a 2,5 hp gasoline motor or an electrical motor. 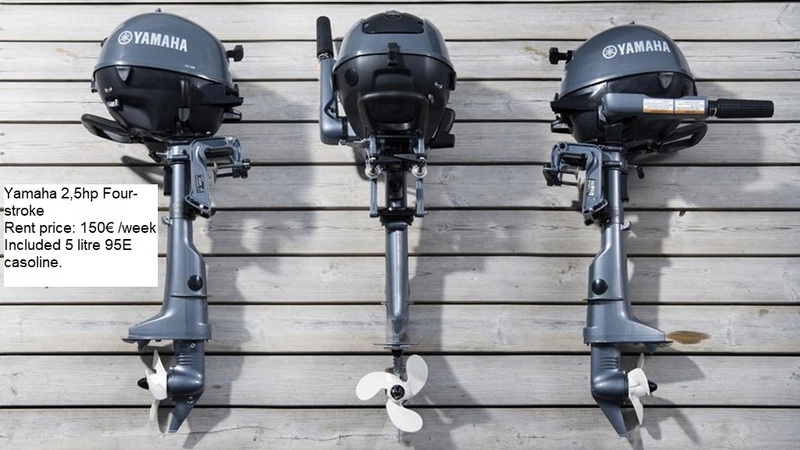 If you need a bigger boat please see our fishing page / rental boats. 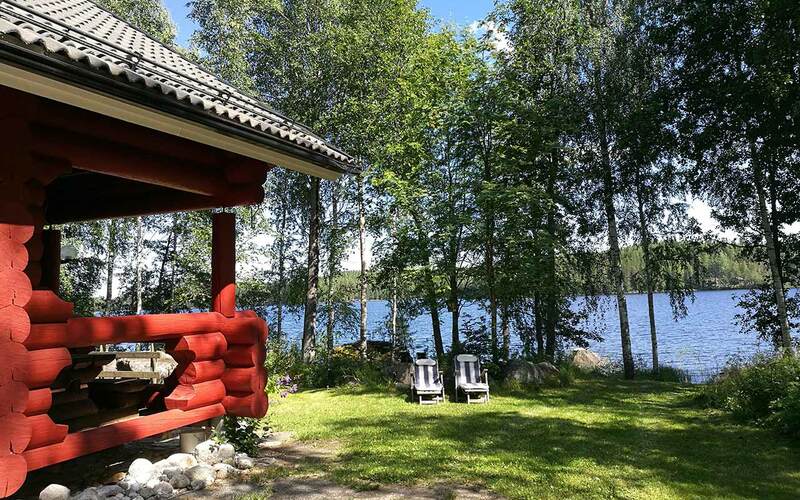 If you book a guided fishing trip it starts from the jetty of the log home. Trolling license to Härkäjärvi is incl in the rent. 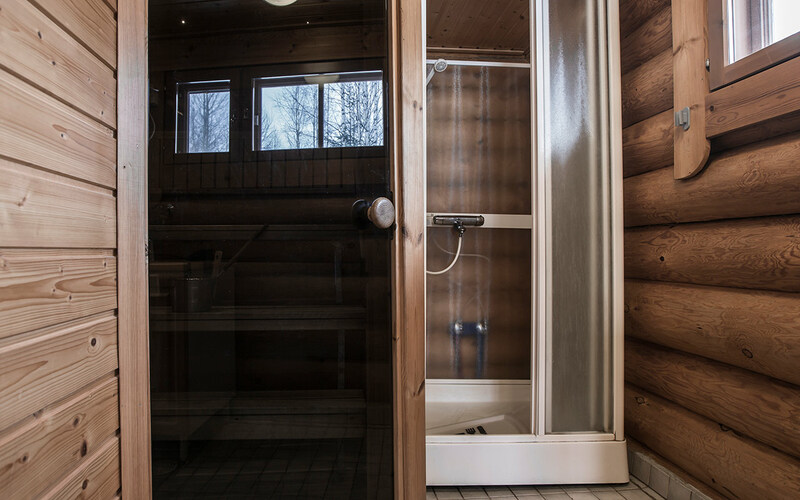 The forest around the log home offers great opportunities for picking berries and mushrooms or jogging. 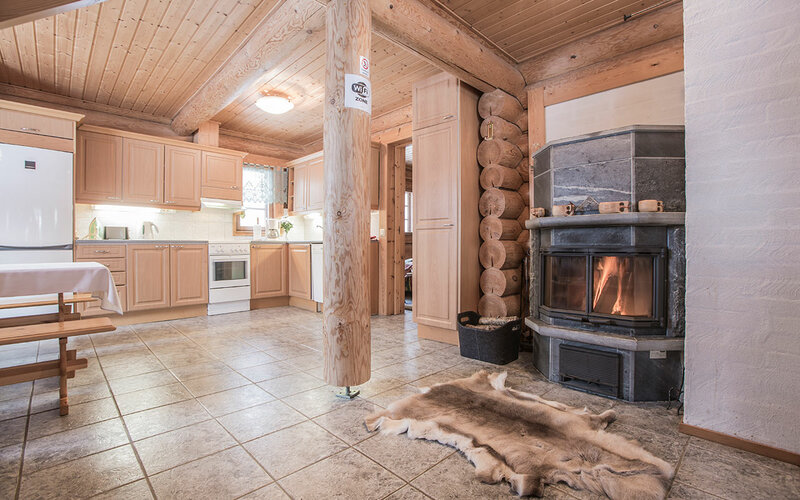 Outside the log home there is a campfire site and a courtyard suited for badminton and volleyball. 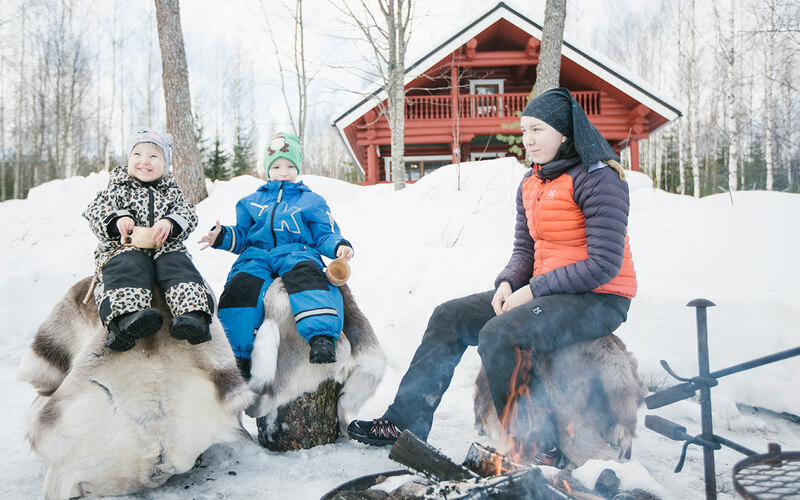 In the summer, you can also enjoy a round of golf at PuulaGolf, and Häkärinteet ski slopes beckon in the winter – both are only 30 minutes away by car. 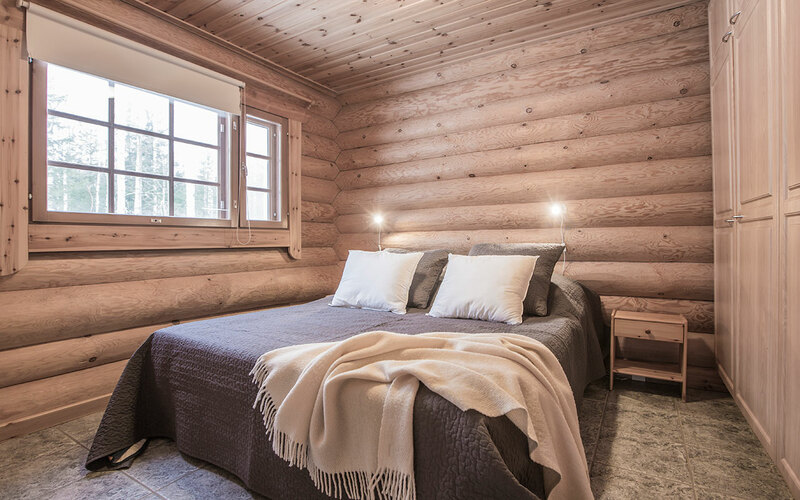 Hiidenkivi can accommodate up to eight persons: the log home has two bedrooms (one downstairs and one upstairs), a pull-out bed for two in the upstairs hallway and a sofa bed in the living room. 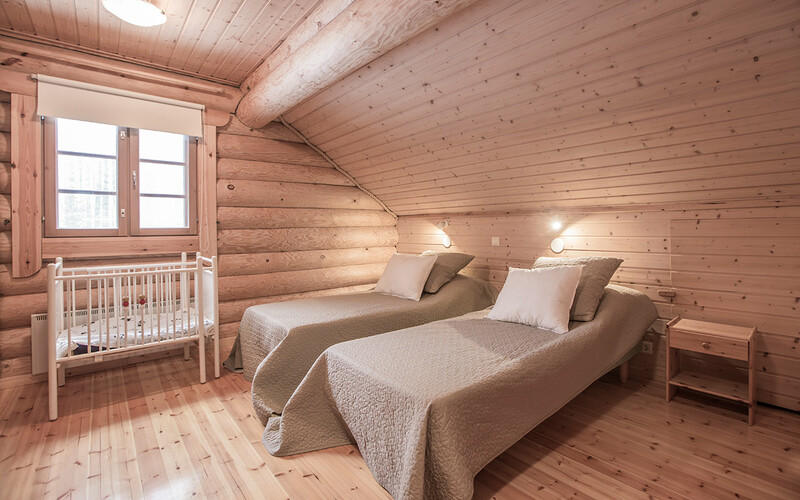 Kivitasku can also offer eight (8) separate beds as there are two thick extra mattresses available (upstairs) and the downstairs double bed can be separated to two beds. Please inform us when booking how many separate beds you need. Thank you. 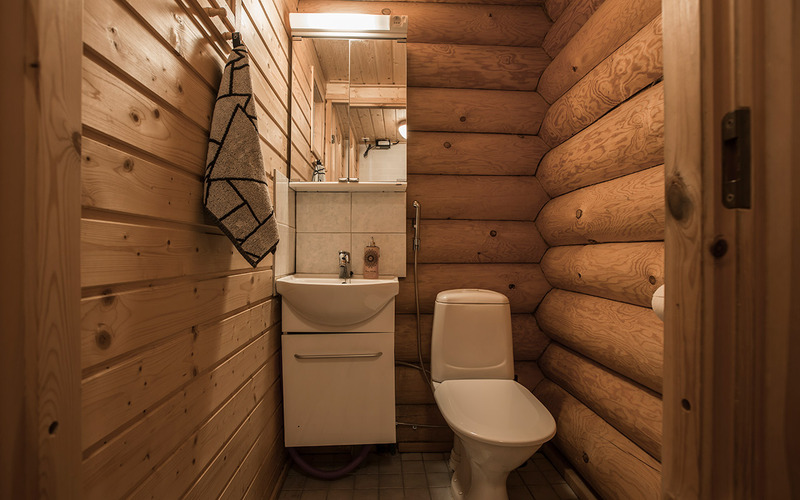 The ground floor of this log home has a kitchen/living room, bedroom, wood sauna, washroom (shower booth) and a toilet. 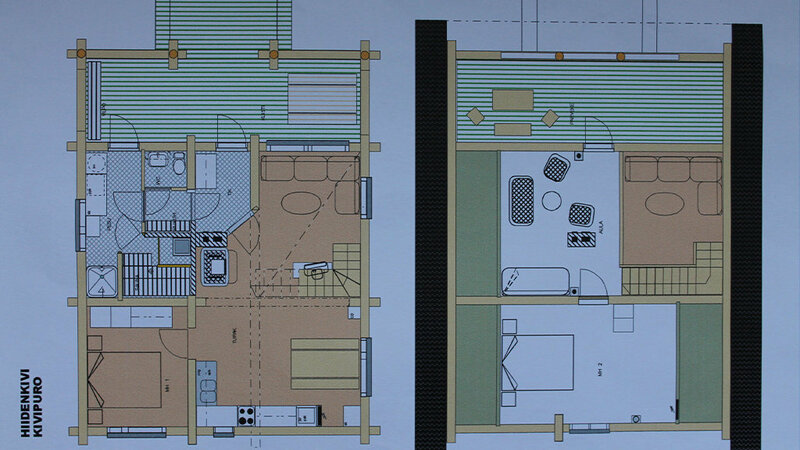 The upper floor has a bedroom, a hallway and a balcony. 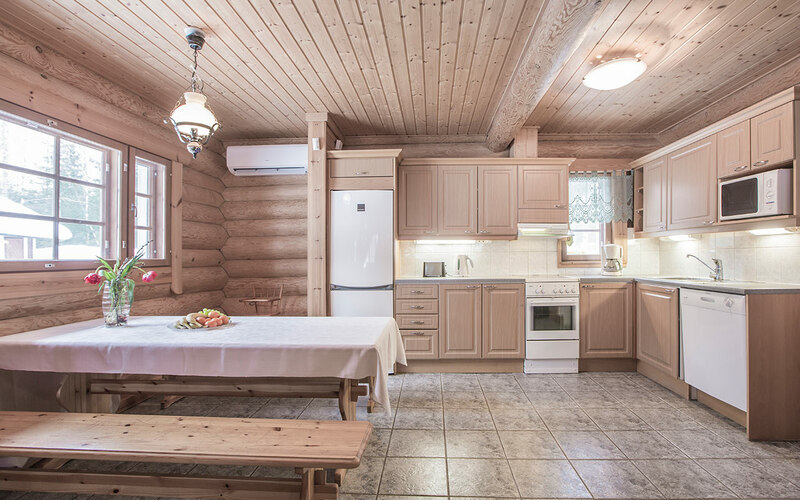 The log home is of equipped with modern amenities. Hiidenkivi and Kivitasku have the same floor plan and equipment level. 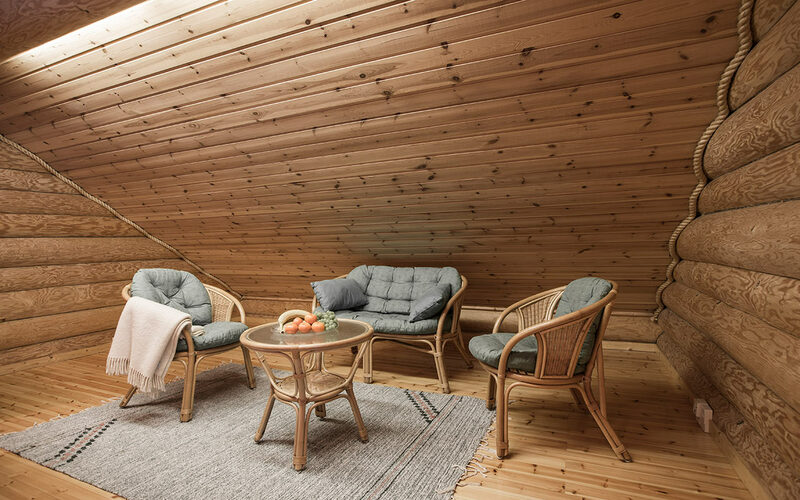 They are located some 250 metres from one another, enabling a few families or a large group of friends to spend a holiday together quite conveniently. Pets are also welcome! 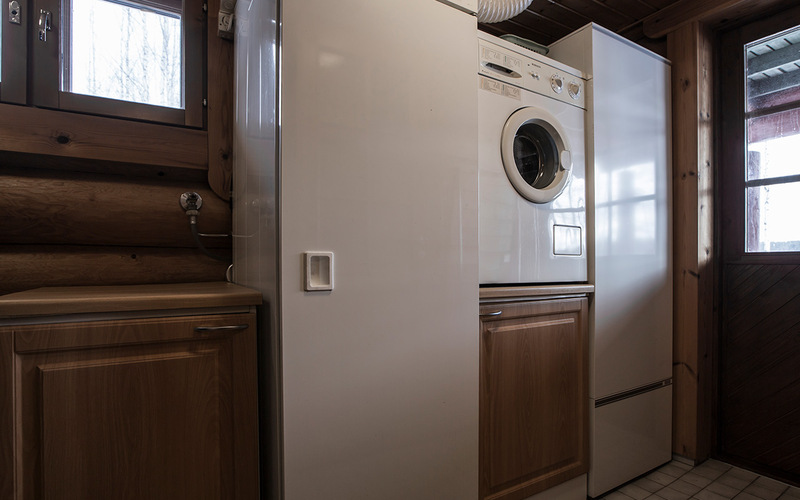 Between mid of June and late August, the minimum rental period is 4 days and the arrival day is any weekday. 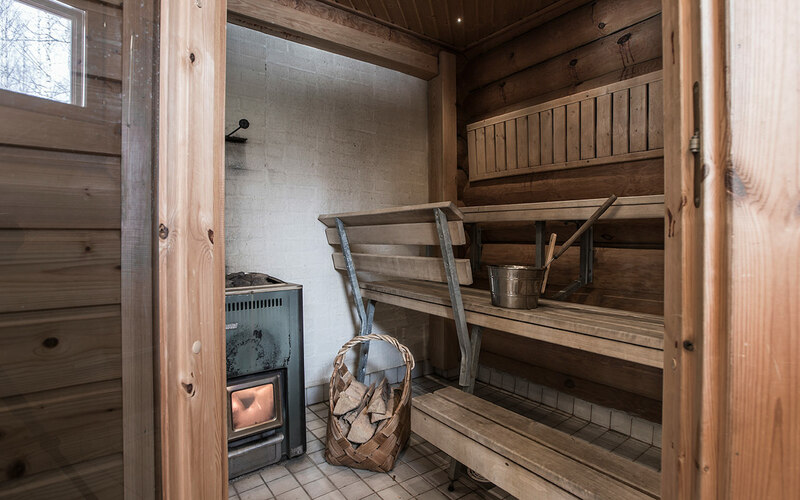 For offer of longer periods (over two weeks), please write to sales@rockandlake.com Midsummer period (wk 25) makes an exception in change days and duration, please check the calendar. The red pin on the map demonstrates the location of the log home. 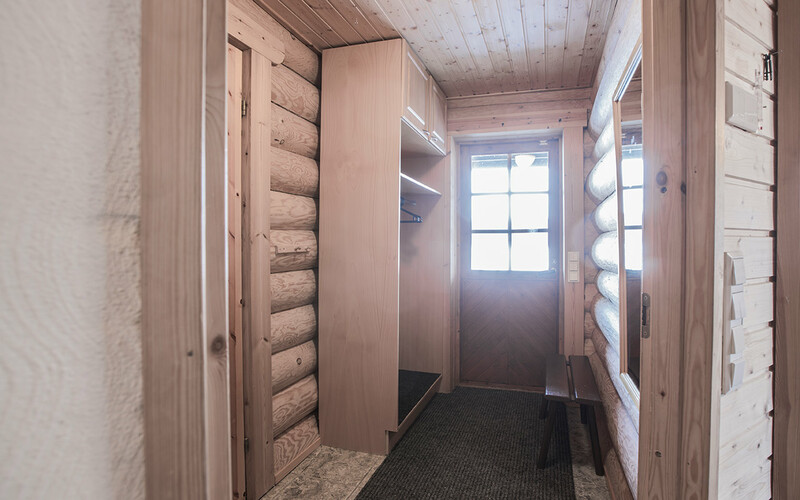 The yellow pin is the check-in place where you will meet the owner who will accompany you to the log home. The driving instructions on the FAQ page lead you to the yellow pin. For driving instructions and additional information, please see the FAQ!